When we are selecting the right Business Intelligence tools for our organizations, consider our company, our employees, our departments and teams – and then success factors that drive our decision-making. What is not working currently, and what are the factors would benefit from improvement? Choose tools that allow us to visualize and analyze the relevant data, combining, eliminating and customizing to generate information that helps us to better understanding of our data. We can scale our data as per our BI needs and analyze it in different formats, without worrying about memory limitations. Our main goal to make fact-based and insightful decisions that will improve our company present and future performance. So, we must choose the top BI Tools based on the analysis of their Advantages, and Success Ratio. 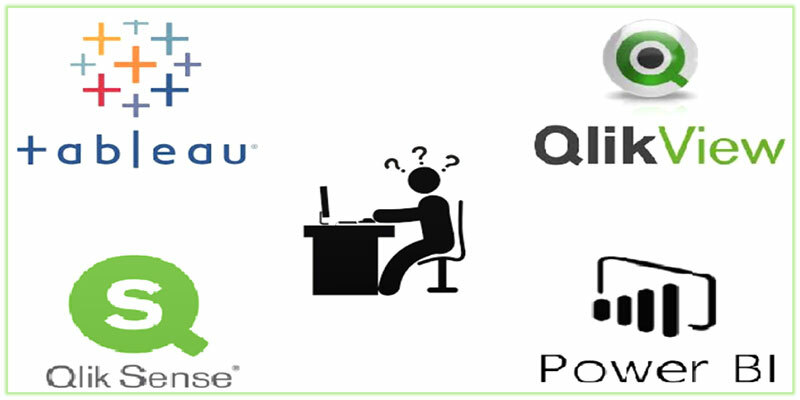 Here, let us know more about QlikView, QlikSense, Tableau, Power BI and their advantages. QlikView is very different from traditional business intelligence software. It’s simple and easy, and puts the business user in total control. With just a few clicks, QlikView lets you consolidate, search, visualize, and analyze all your data sources for unprecedented business insight. It is one stop shop for dashboards, graphical analytics and easy reporting. One can also use it for free in the free trial period. Low cost – quick return on investment, thanks to the short implementation period. Qlik Sense is an intuitive self-service data visualization and discovery application. Qlik Sense is a solution for companies at which employees want to explore and visualize their data independently, without the need for IT support and long waits during the analysis phase. Qlik Sense gives users the ability to create, modify, or expand visualizations. With Qlik Sense we can explore our data freely, with just clicks, learning at each step. You can share knowledge and analyze data in groups and across organizations. Intuitive cockpit and report creation by using drag-and-drop method, users can visualize analytical areas of interest. Migration of Qlikview Load Scripts. Simplified licensing based on the token licensing model, which provides greater flexibility in managing licenses. The ability to manually create extensions to use them free for best visualized dashboards. The aggregation of data in one place so that it can be analyzed and visualized efficiently,easy access to analysis for all employees using tools which they are familiar with. A limit on the number of systems that employees must use to get the data what they need. Tableau is one of the most effective data visual tools that enables the organizations to represent the data in a more comprehensive and understandable format. It has proved its efficiency in the market by being at par with the previous tools used for analyzing the visual data. With the help of tableau, one can compare, contrast their innumerable data. The best feature of the tableau desktop is that any person with any skill set can use it. Even a non-IT person with no knowledge about the tool can use it and understand it easily. There’s a free trial available on the site for a better understanding. Tableau online with a host of tableau server features has speed up the Business Intelligence like never before. It’s more supple and secure business intelligence technique, is helpful in answering the queries from anywhere in the world. It’s published dashboards with the tableau desktop let’s anyone share it with the colleagues, clients or business associates. The data analytics can be viewed anytime anywhere whether it be from home, office or another place. It sorts out the data, can change it all together according to the needs and requirements. Tableau server is browser to mobile interactive and live approach to the business intelligence. With the help of this, one can publish dashboards or reports to the tableau servers through tableau desktop and share it with their colleagues. By this, the work is made easier and one need not carry that cumbersome data everywhere. It can be deployed by any kind of organization, regardless of its size or structure. It gives the optimal benefits and enormous growth to the organizations ending in the happy results. Power BI Desktop helps you empower others with timely critical insights, anytime, anywhere. It combines state-of-the-art interactive visualizations, with industry-leading data query and modeling built-in. This version of Power BI Desktop is optimized for use with Power BI Report Server. Every business has its own culture and way of doing things, sometimes the ‘standard way’ of doing something just doesn’t cut it and a need to customize it to make it work is needed. The same goes for visualizations that come as standard with Power BI tool, which for some may not provide the depth or complexity of visualization that is needed to ‘bring data alive’. However, by accessing the growing library of custom visualizations or even creating ones that meet a specific need is perhaps a way to find a competitive edge. And you can access your data and reports from anywhere with the Power BI Mobile apps, which update automatically with any changes to your data. The interface allows users to easily export their data to other systems (like Excel), which gives users the flexibility to work with their data in other environments if they choose. Power BI currently connects to 60 common software solutions your business already uses and pulls data into a centralized, easy-to-digest dashboard. Not only does this make data more secure, it greatly enhances the usefulness of our reports. You can invest time building one single report, then use access controls to restrict which data users can see/ can’t see. 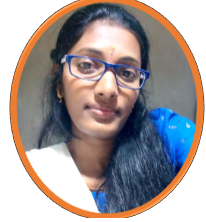 Anjani is working as a Developer (QlikView, QlikSense and Tableau) for the past four years, involved in development of Business Intelligence (BI) solutions, especially in designing, modeling, data sources integration, and advanced GUI of applications with complex multiple data sources. She was also involved in deploying of applications on servers, and managing the security for User/Data/Object access. She has experience working on several domains viz., Hospitality, Healthcare, Telecom, Retail, Insurance and Media. I am having few queries using Qlik Sense desktop. Can you please help me out?